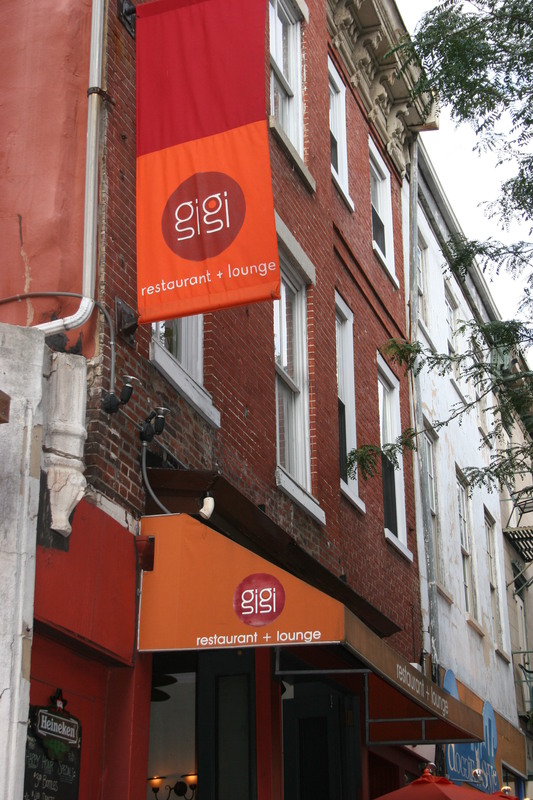 It was 4th of July Weekend and our friends Gerry and Joann had some buy one – get one coupons for Gigi’s at 319 Market Street in Philly. We opted for the outside dining. I must confess that prior to going here I read quite a few reviews on Yelp and the place did not get very good reviews. Consequently, there was a bit of apprehension upon arrival. My concerns were alleviated immediately as our server, whose name I no longer remember welcomed us cheerfully and took our drink orders. I think we must have had coupons on the drinks, too as we had brought some good wines with us. 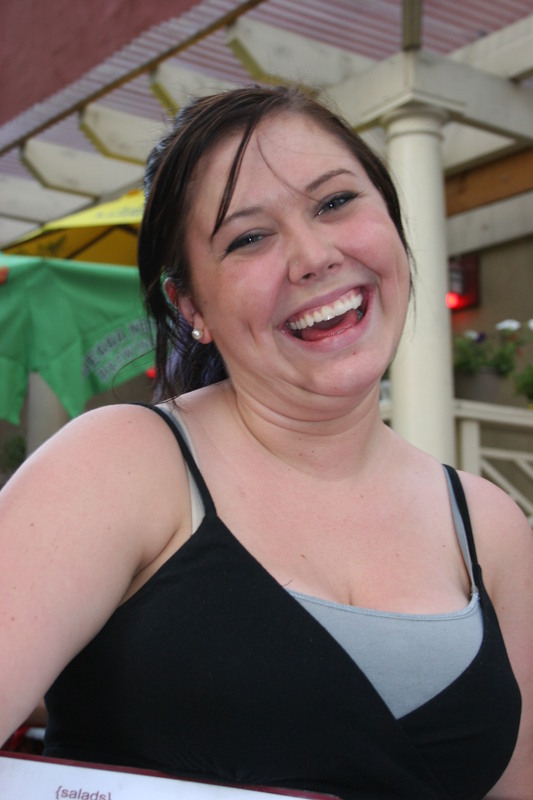 This is a picture of our nameless server who made us feel comfortable from the moment we were seated. 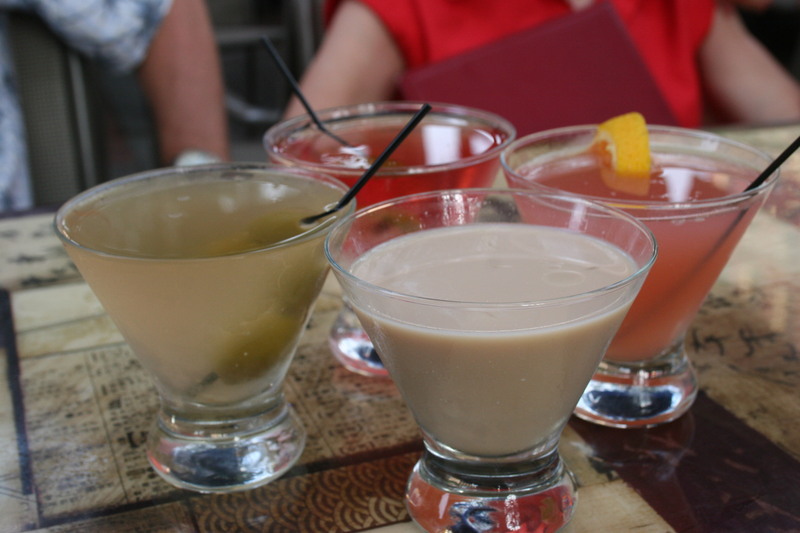 Here are our opening cocktails. I recall that Gerry’s was undrinkable and he returned it for another choice without any problems. It would have been difficult to find two better wines than the ones we had with us on this festive Saturday evening. 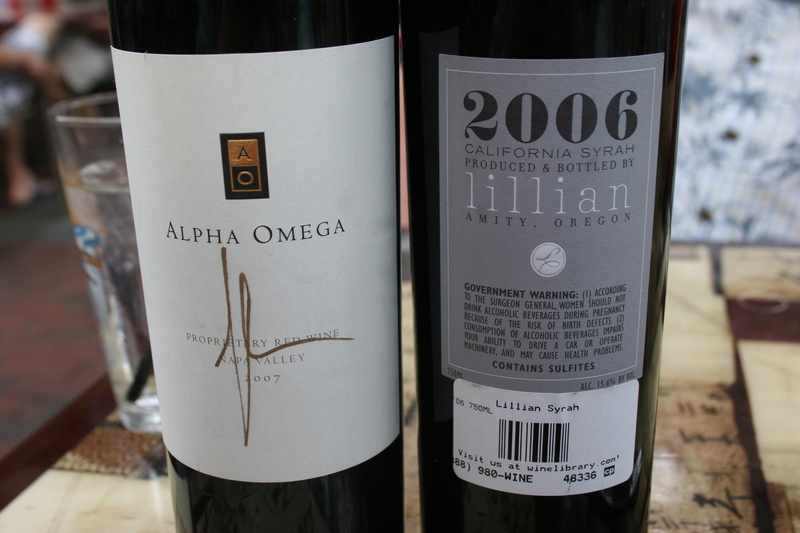 Gerry had brought along a 2007 Alpha Omega, Proprietary Red Wine, Napa Valley. This was one of the producers that we enjoyed an intimate visit with during our Napa trip last year and virtually all of their wines are first=rate. The Proprietary Red being one of the stars of their line-up. My choice, and I knew it was one of Joann’s favorites, was the 2006 Lillian, White Hawk Vineyard, Syrah. This is one of my all-time favorite wines and was an equal companion to Gerry’s selection. 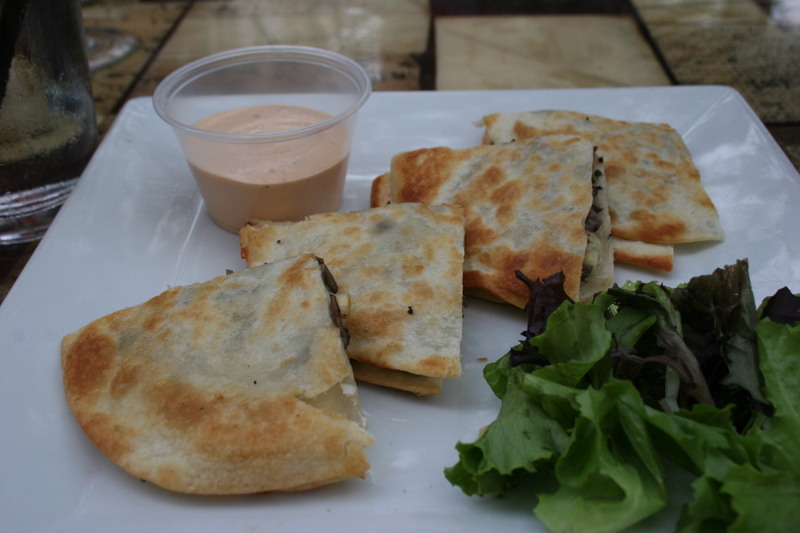 As usual, with these mini review “catch-ups”, I’m not totally sure what we all had to eat. Again, I will post the photos and fill in where I can.